bone density Archives - Derek L. Hill, D.O. Who needs tips for healthy bones in their life? Keeping and maintain healthy bones as we age is a very important part of keeping ourselves healthy. Here are some tips we found on http://orthoinfo.aaos.org/ about how to keep your bones healthy and strong. As you get older your joints and bones can remind you of the Rice Crispy cartoon mascots, because they tend to SNAP, CRACKLE and POP a lot more! There are several factors that can affect the health of bones, including age, family history of osteoporosis, medications that affect bone health, smoking and even consuming too much alcohol. If you take medications, talk to your doctor to make sure they are not bone-sappers. Some of the worst offenders include corticosteroids like Prednisone and diabetes drugs such as Pioglitazone (Actos) and Rosiglitazone (Avandia). Aches and pains may also plague your body, however achieving and maintaining optimum healthy bones and strong joints is possible. According to Consumer Reports, “Studies have found that people with heart disease have a higher risk of breaking a hip. Researchers think that’s partly because people who have suffered a severe cardiovascular event such as a stroke might be more prone to falls.” Implementing at least 30 minutes of physical activity into your day can be the start of making them stronger and denser. Performing weight-bearing exercises (i.e. walking, jogging, tennis and dancing) puts pressure on bones to make this happen. So make sure to add weight-bearing exercises a few times a week to achieve this. Diet is another essential way to help promote strong bones, and you can start by consuming calcium and vitamin D. The recommended daily intake for women 50 and younger, and men younger than 71 is 1,000 milligrams; men older than 71 will need 1,200 milligrams. 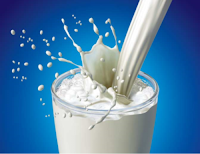 Calcium can be consumed in vitamin form or with at least three daily servings of dairy or calcium-fortified foods, such as orange juice or soy milk. Vitamin D, a key nutrient in protecting bones can be consumed in vitamin form, food and even sunlight. You only need 600 milligrams daily, or 800 if you are older than 70. Consuming lots of fatty fish like salmon, tuna or mackerel, mushrooms, milk and some cereals fortified with Vitamin D are also great sources. Take care of yourself and work a little harder to maintain good health through exercise, a diet with fresh fruits and vegetables, and supplements. Your body will work for you if you work for it. We don’t usually concern ourselves with having strong bones until we hit middle age, when bone loss becomes a health-related issue. When our bones do begin to lose density, brittleness and osteoporosis can become dangerous risks. Osteoporosis has no symptoms and is a concern for all mature adults. Brittle bones can break during what might seem to be a “little” fall. But the lack of mobility causes other health problems. It’s best to prevent by eating the best vitamin-packed foods. Eating foods rich in vitamins, such as calcium, vitamin D, vitamin K, and magnesium, build and maintain strong, dense bones. Here are seven foods containing these bone-building vitamins, that we can incorporate into our daily diet easily, to ensure that our bones keep us strong at any age. In addition, avoid carbonated drinks and reduce salt and caffeine. Bone up and be strong! Menopause related bone loss is just another thing we have to look forward to with aging. Menopause is the transition between two important phases of a woman’s life: from the child-bearing years to their end, the cessation of menstruation. Complex hormonal changes occur during these 5 to 10 years. Understanding the many potentially-dangerous changes in your body chemistry will help you eliminate bone loss during menopause.